Three years after my first trip to the Florida Keys, my parents decided to leave Fort Lauderdale and move us back to New York. I was not happy, but as always I had nothing to say about it. In my fourteen years on the planet, I’d already hung my hat in ten different apartments, duplexes, and houses—all but two of them rentals. Nevertheless, I got used to living in Queens, New York, and for the next eleven years, I actually had the time of my life. The cracked sidewalks; bustling traffic; relentless city noise; never having much jingle in my pockets—none of it mattered. Coming of age in New York during the 1960s and 70s was an incredible experience. Day in and day I out I felt like l was living in the center of the universe. But then on a cold night in January of 1974, one month before my twenty-sixth birthday, my life took a sharp turn in a different direction—a southerly direction. Talk about getting hit with the proverbial ton of bricks! I loved Blanche very much but was not ready for this. Later that night I drove my beat-up Plymouth back to my apartment. And in the pre-dawn darkness the following morning, Blanche picked me up in her canary-yellow Chevy Vega. With the temperature only sixteen degrees, and a blizzard quickly bearing down on the city, I threw my hastily-packed suitcase into the trunk and we raced out of New York. Around noon two days later, both of us road weary as long-distance truckers, we pulled into the marl parking lot at The Ranch House Motel in Marathon. Despite being tired we were both still riding an excitement high, and when we climbed out of Blanche’s car, the weather was absolutely perfect. The Florida sun was bright as can be, and a pleasant breeze was rattling the palm fronds in front of the motel’s office. Looking back now, I’m sure the local Chamber of Commerce was full of smiling faces that January day in 1974. All these years later I can’t recall a single thing we did after we arrived at the motel that day, but I certainly remember the next afternoon when we marched into nearby Fisherman’s Hospital to get our blood tests. As I swung the entrance door open to the then tiny hospital, and my bride-to-be stepped inside before me, a stray cat whisked its way in between us. The only humans in the waiting room were two nurses sitting behind a small counter. As we approached one of them scooted after the cat and the other rose to her feet. Neither of them had shoes on. “Well, um … tomorrow we’re getting married in Key West, and we need to get blood tests,” I said. She then opened the door behind her, stepped inside, and told the doctor what we needed. With that accomplished we drove down to Key West the following morning to a 10 o’clock appointment with the justice of the peace. Like all the rest of the Keys, Cayo Hueso was a totally different place back in ’74. Many Conchs still lived and worked on the seven-square-mile island; it was almost devoid of traffic; the pace was slow and easy. As Blanche and I motored slowly beneath the sleepy town’s towering Poinciana trees and gently swaying palms, we felt like we had arrived at the birthplace of absolute contentment. When we pulled in front of the then new Monroe County Courthouse, there wasn’t a single car alongside the block-long row of parking meters. After we stepped inside the building, we were directed to the Justice of Peace’s office. And when we got there I was more than a little surprised to see a lady sitting behind the desk. “Yes mam, that’s us,” I answered. “Well, have a seat.” she said, extending an upturned palm toward two chairs across the desk from her. The words had barely left her mouth before another woman appeared in the open doorway. 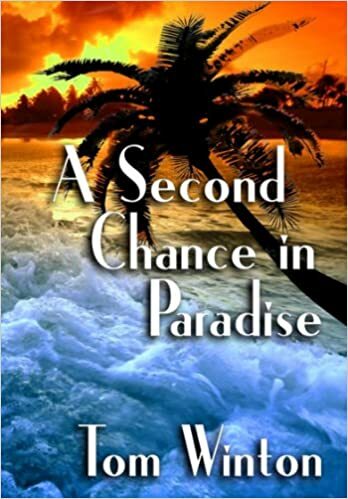 Two of the six bestselling novels he has written take place in the Keys. You can read my review of “Hemingway’s Ghost” HERE. 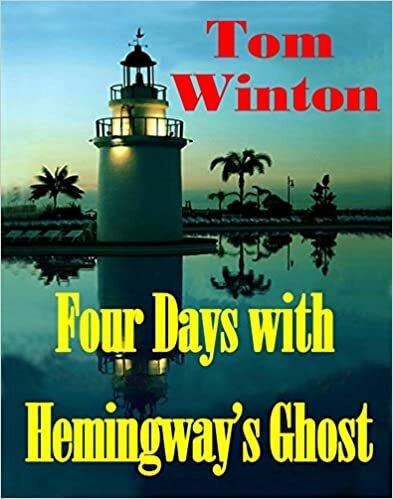 This entry was posted in Authors and tagged Florida, Hemingway, Key West, New York, Tom Winton. Bookmark the permalink. Thank you so much for posting my piece, Jane, and for your kind words as well. I hope your followers enjoy. Thank you so much, Lorraine. And thank you for reading my post as well. Great story, well told! I love true love stories and this one with the different settings thrown in is delightful. Thank you for sharing. Thanks very much, Jean. I’m really glad you got a kick out of it. Thank you for the lovely story, I was on tenterhooks expecting the worst, but instead the happy ending left me feeling elated. So glad you are still together and enjoying Florida – thank you for lifting my spirits.